Gucci Reveals Newest Sunnies! – Sooo Fabulous! 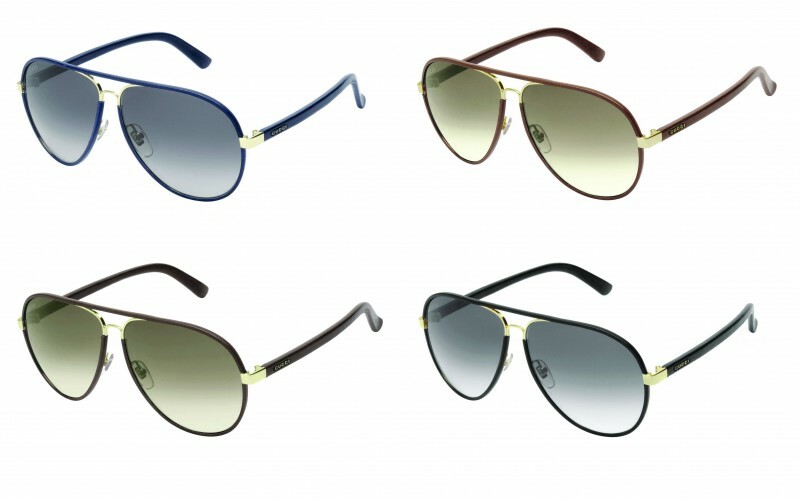 Gucci revealed its newest sunglasses on Friday, adding a welcomed twist to the ever-popular aviator. This time around, the design house has gone for a bolder look, covering the frames in leather and introducing square and drop-shaped models. Two features which, by the way, take the boring, blasé quality out of the recently revived 70’s trend. And there’s no shortage of choice with this collection, which Gucci confirms comes in a range of colors from natural shades, such as tan and chocolate, to classic colors, such as blue and black. Shop all the brand’s aviators here.